Am I using the right wood for my wood burner? As the Winter months draw in it’s time to start lighting your wood burning stove. Here is our simple guide to help you choose the right logs to burn. It’s been said many times before but the most important step to ensuring you’re using the best logs for your stove is to keep them dry! Fresh wood has a moisture content of over 50%, burning wet wood is not only ineffective but can cause havoc to your wood burner and liner. 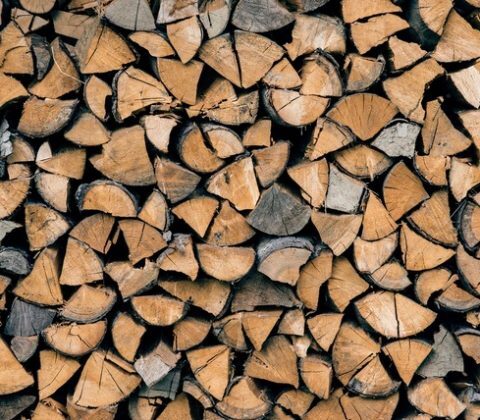 It is important, once you’ve taken delivery of your wood, to keep your wood in a dry, sheltered area to ensure the best heat output from your burner. The best type of storage unit is a roof, sheltering it from rain, but to also have open sides to let the wood breath and not “sweat” therefore causing more moisture to build up. 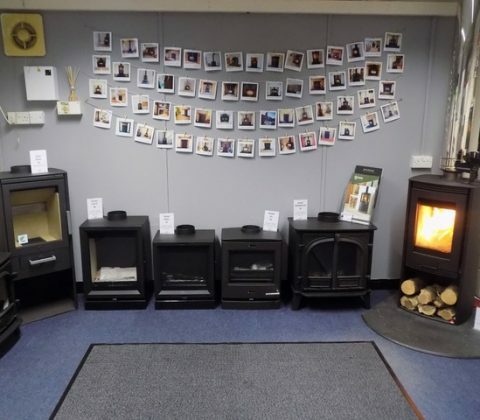 When buying logs from a wood supplier they will come pre-seasoned, however the massive influx of popularity in wood burners has meant the seasoning process is sped up to meet demand. This quite often results in the log’s moisture level being too high and not dry enough to burn. Ideally you can check the log’s moisture level by a moisture reader, a reading of 20% or less is suitable to burn. But if you don’t have a moisture reader just take a look at the log, does it have deep cracks at the end? Does it feel light to carry compared to the weight of a wet log? And what about how it sounds, does it sound hollow and dry? These are all signs that the log is ready to burn! The type of wood you burn can make a difference as well. Hardwood, such as Beech and Oak, is better than softwood as it burns slower. 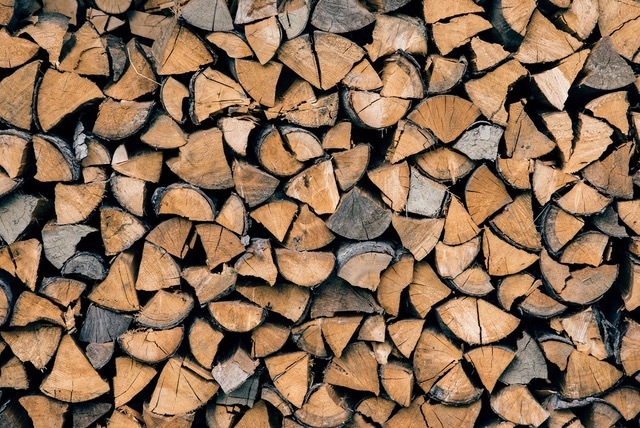 The density of hardwood means the heat output is 50% greater and that you’ll therefore use less logs overall. If you have used the wrong wood or wood that hasn’t been seasoned you may notice the glass goes black in use. Wet wood that then burns cold and slow produces smoke, which can blacken the glass. Not only does burning wet wood damage the glass of your wood burner, it can also cause a build up in your liner that can lead to a serious fire hazard. By ensuring you’ve chosen the correct wood can mean an effective heat output, a longer burn, less time filling the stove up and the reassurance you’re not causing any damage to your wood burner. 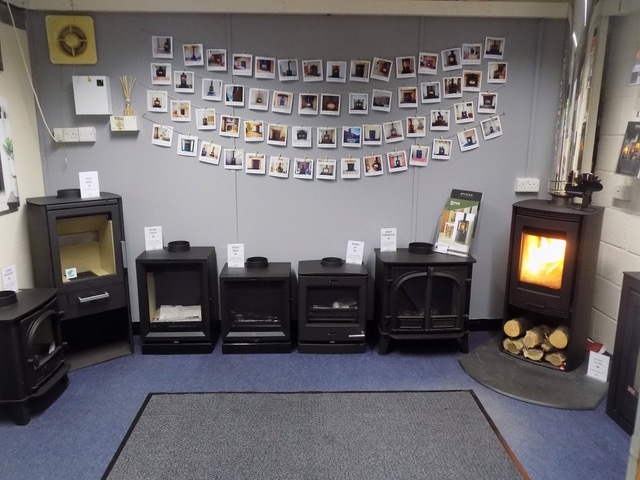 Cottage Stoves now have new Opening Hours for new expanded showroom, now with a working woodburning stove. See our Showroom page for more information. Please call us on 01256 895001 or 07825 020446 to arrange an appointment.